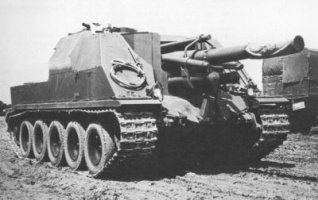 Developed in 1951 based on the Lorraine 40 t and featured a 155-mm howitzer. 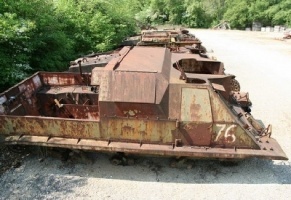 The prototype passed trials simultaneously with the tank, but the Lorraine 40 t did not see service, and the SPG project was discontinued as well. This SPG is excellent example of most of the French artillery line. It carries one of the least damaging guns of its class and tier; however, that weakness is mitigated by a better rate of fire, accuracy, and aim time compared to others SPGs of its tier. Though unimpressive, the 155 51 still carries enough firepower to perform well in its role. The most unique feature of this vehicle is clearly its unmatched mobility. No other SPG of this tier can move faster, making relocating an easy task; it can even outrun some mediums tanks, if necessary. 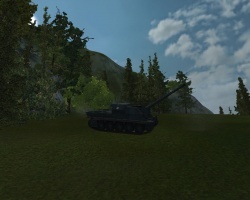 The Lorraine 155 51 is a relatively fast-firing, very mobile artillery piece. 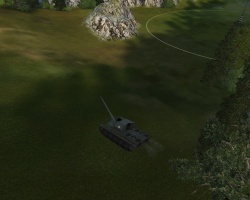 It has the highest mobility of any tier 8 artillery piece, able to reach 60 km/h top speed. It can therefore outrun any medium in tier and even outrun some lights. It's gun is one of the fastest reloading guns at tier 8, but at the cost of lowest-in-tier damage: 750 average per HE shell. 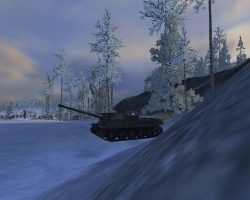 If reliable spotting is available, the Lorraine 155 51 can wear down the enemy with sustained fire over a long period of them, using its mobility to provide fire from different angles to shoot around obstacles. Due to it's mobility and rate of fire, it sees use in Clan Wars during events with a cap of tier 8. The Maybach 850 CV offers much higher horsepower, but can wait for last. SInce it does not carry over to any othe vehicle it can also be skipped. This page was last modified on 25 August 2018, at 15:59.